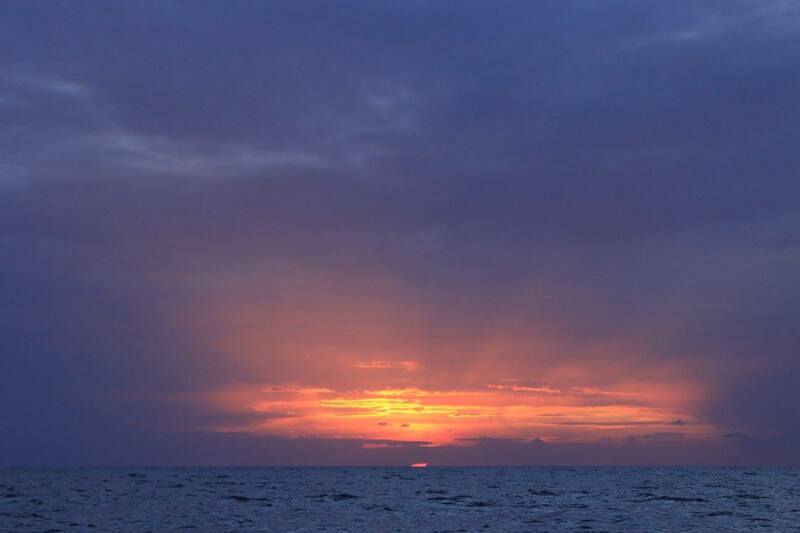 Alternative World Sailing Community | A worldwide sailing tribe spreading an alternative lifestyle. This year we will be creating a programme at the legendary Boom Festival in Portugal. Follow us on Facebook for more info soon! Help keep our boats floating! Three of our boats have active funding campaigns running. If you have some spare coins toss them to us and enable us to bring sailing to travelers around the globe! Layla is a beautiful 36″ steel Ketch built in 1974, that we refitted on the Mediterrean shores in the winter 2017, after she didn’t sail for about 4 years. Orfin had been left to a certain moldy decay in a marina in panama for 6 years until we came along and gave her the love she was lacking. 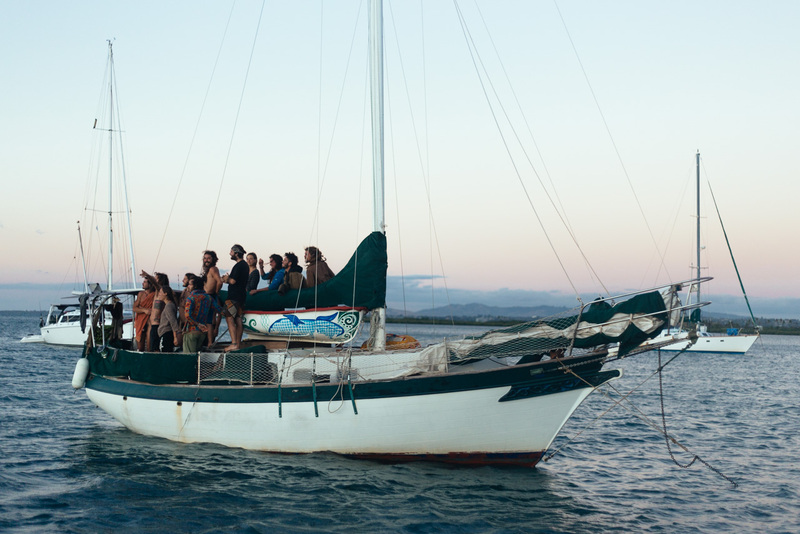 Young, free and in love with the sea, we are a team on a 1982 steel boat called after the Huia bird. 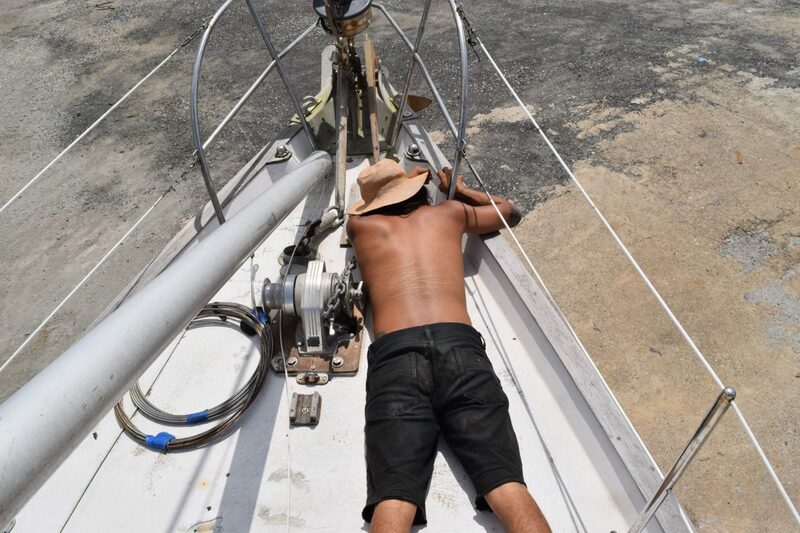 After sailing for three years by many places in the pacific, now the boat needs to get in shape with some love and care. 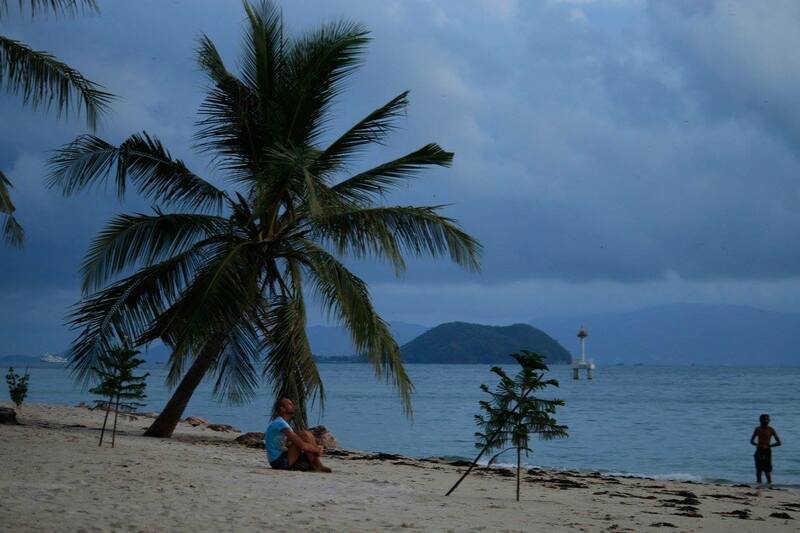 We are a community of travellers sailing around the world. 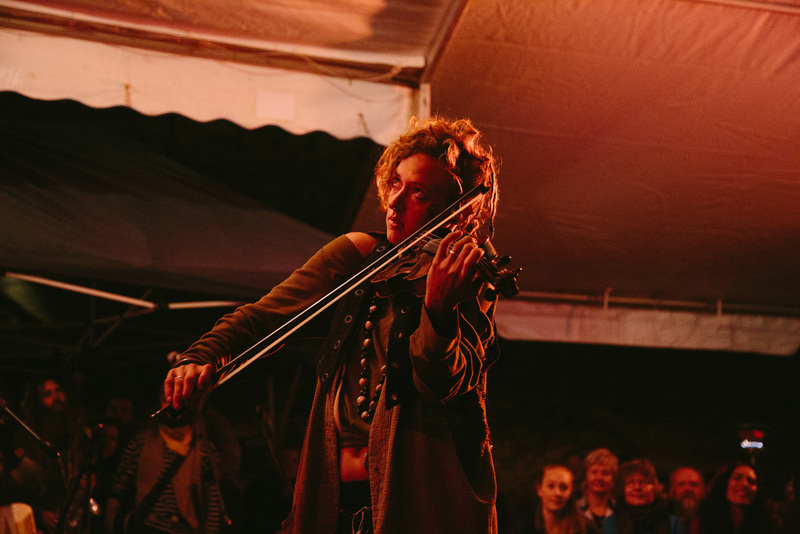 Using art, music, performance and recycling to sustain our voyage. 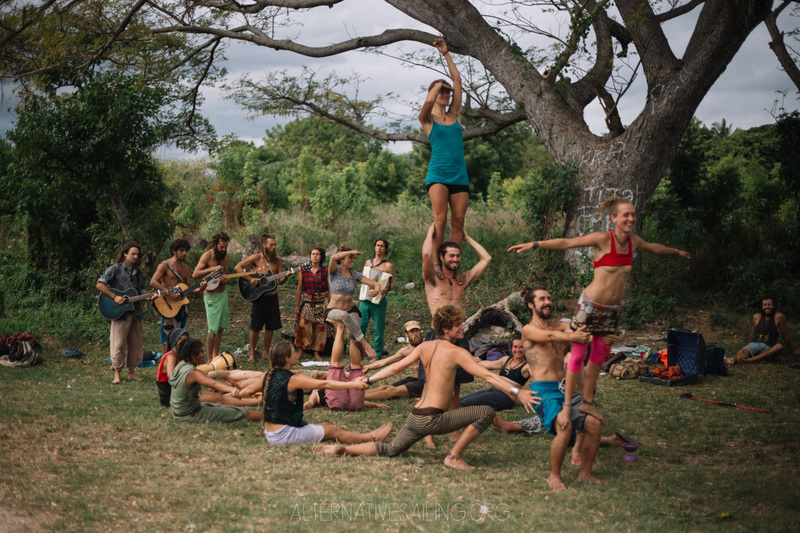 Our goal is to share a vision to travel differently and live in a sustainable and creative world. It is a space for travelers to experience community living on sea, learn sailing skills and develop artistic talents as a group. 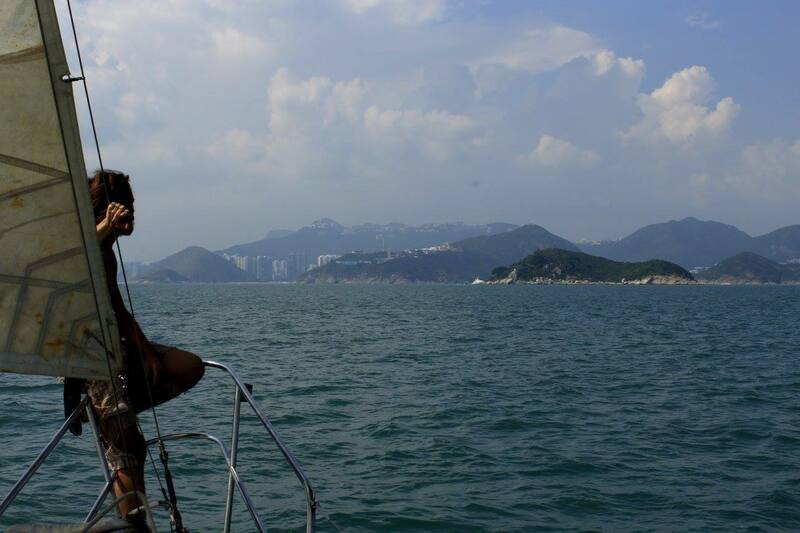 The objective is to create a worldwide fleet of community boats, making ocean travel accessible to the modern nomads. 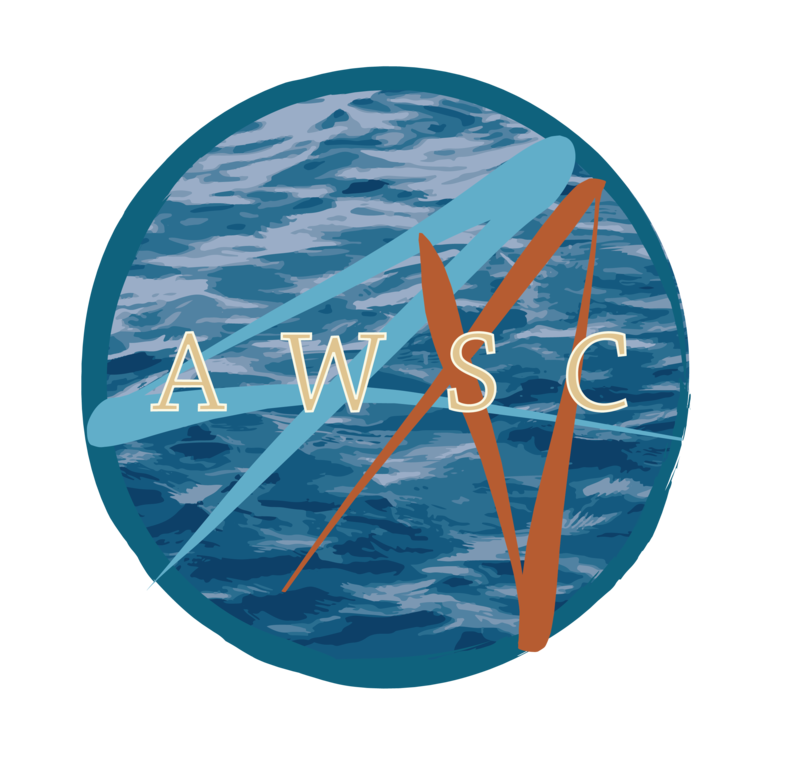 AWSC started in January 2014 as an independent and experimental project. Until now the fleets and/or vessels are still managing themselves independently, agreeing on certain guidelines. Our objective to experiment for ourselves a different and alternative way to travel and to live in a community with a nomad lifestyle. Our vision is that this structure, mixing travel and community living, inspires more and more people to gather; sailors, travelers, visionaries, artists, idealists, etc, and to spread the idea of communally owned and sustained sailing vessels around the globe. 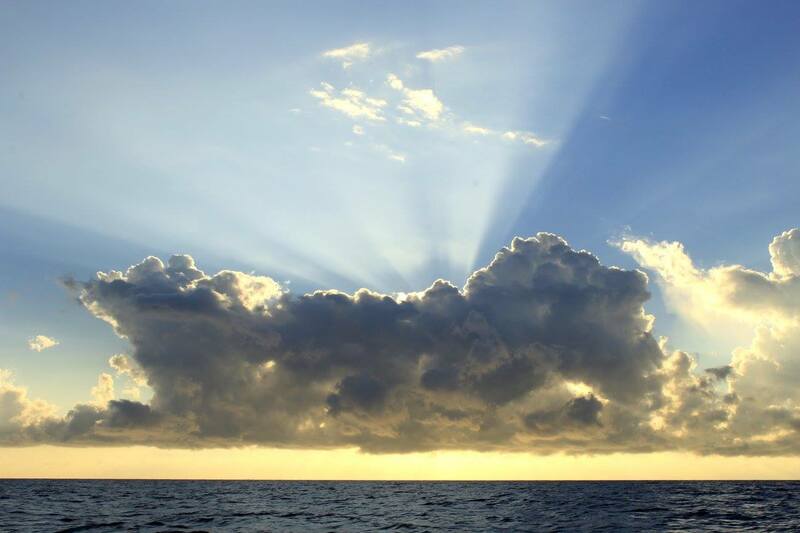 There is a forum that allows people to communicate on various topics concerning alternative sailing. Spreading the knowledge of the ocean. Learn how to become a experienced sailor, living with a shared responsibility of the vessel and its crew’s safety. Experimenting the travel on sea, learn how to read the sky through the stars and the clouds, understanding the wind and swell, interact with the elements. 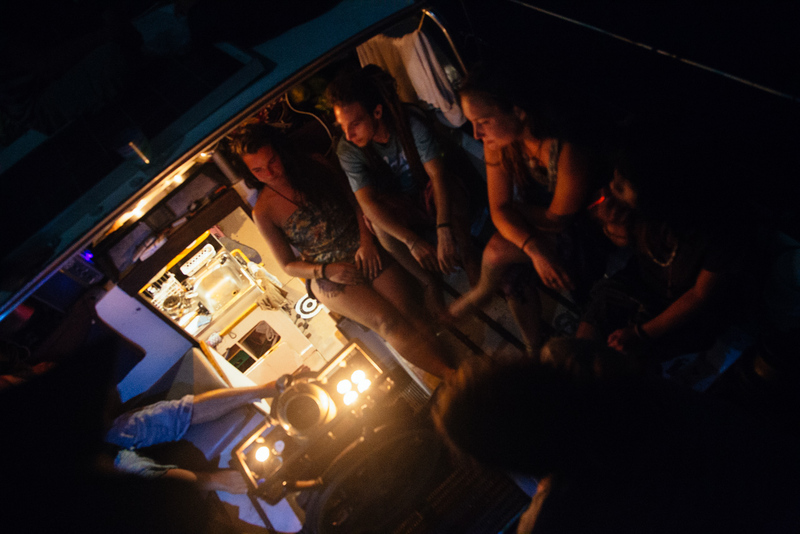 Sharing your knowledge so that everyday on the boat is a learning day, where everyone offers and assists to different workshops such as language class, music basics, macrame, sailing yoga, motor maintenance, etc. Sharing a space where true communication, trust and mutual help is necessary as it is a limited space and reproduces the needs of a ‘micro-society’. 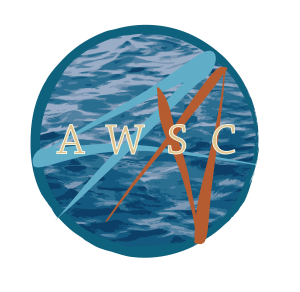 Connect with alternative sailors around the world and organise new projects. 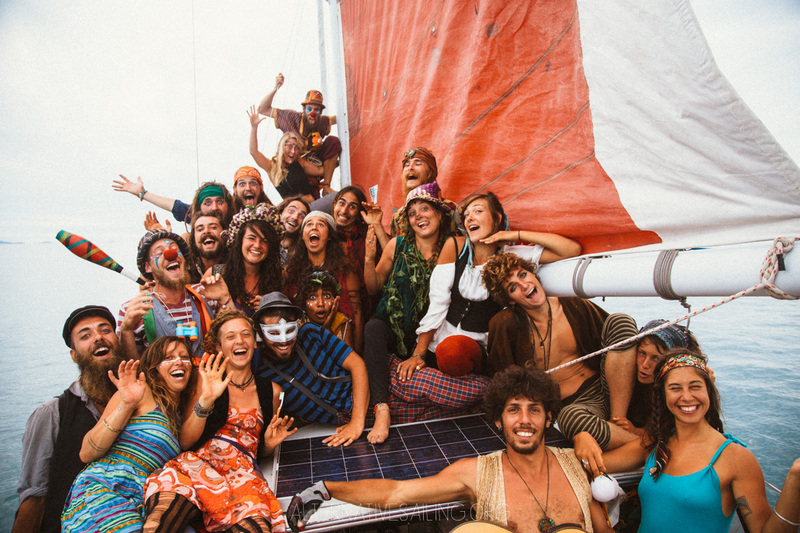 Traveling on a community sailboat allows us to be nomad in a way that limits our ecological footprint, offers a space to live together as a family and where there is place to exploit our artistic potential together. 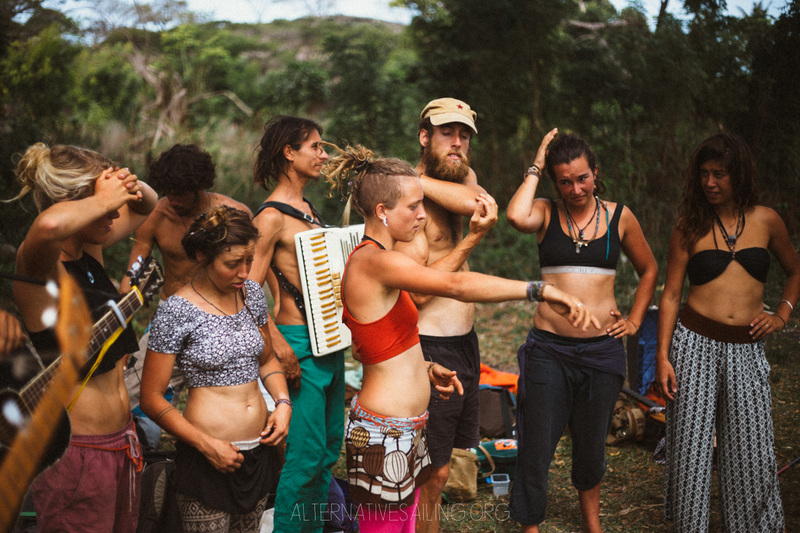 Then as a group we are able to offer shows wherever we travel, wich is a great way to interact with the locals and gives us the opportunity to share this alternative culture around the world and self-sustain ourselves financially. A short film produced by the Boom Festival Broadcast and recorded on the journey of the Pacific fleet from New Zealand to Vanuatu.